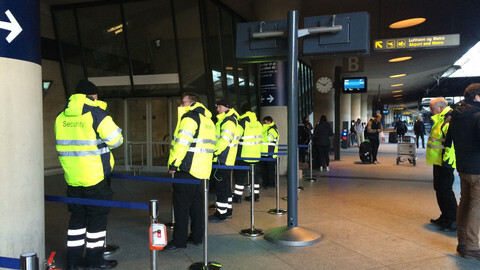 From midnight on Monday (4 January), guards in neon-coloured vests started photographing the ID cards of all passengers boarding trains in Copenhagen in the direction of Sweden. They are not trained police. 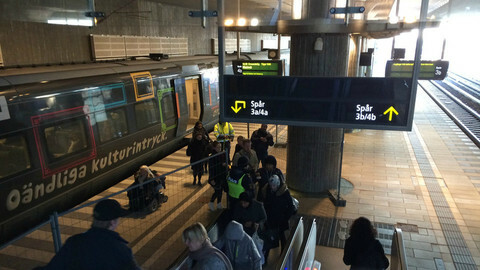 Denmark’s rail company, DSB, hired them from private firm Securitas in order to pre-scan passengers to avoid responsibility for letting unidentified people into Sweden. “If you don’ have photo-ID, then you aren’t allowed into any train bound for Sweden. It’s as simple as that,” one guard told EUobserver. 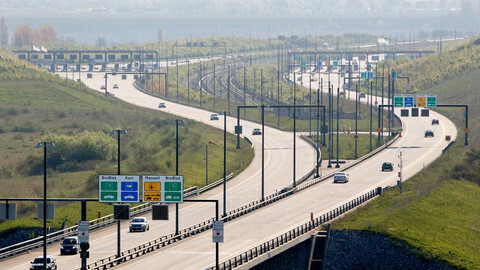 Controls on the Danish side took less than one minute on the first day of the new scheme. 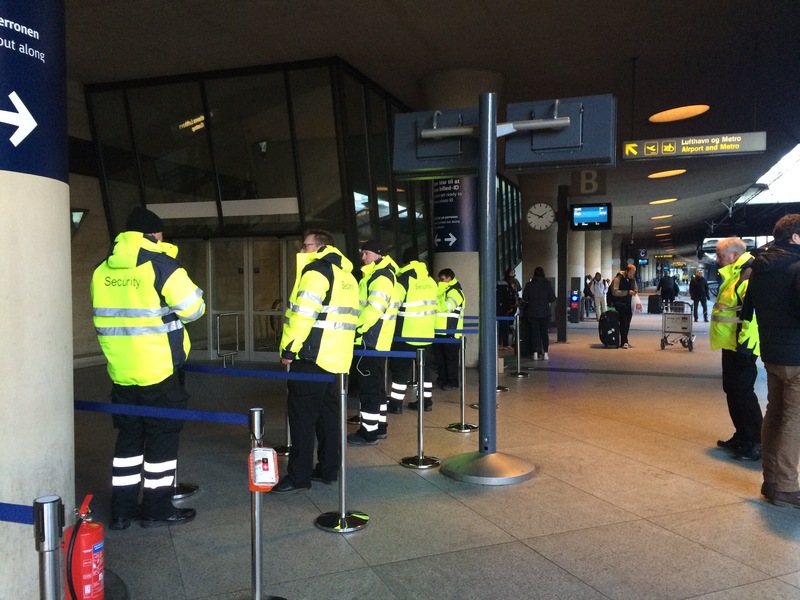 The 150-strong squad of Securitas guards patrolling the train platform on the Danish side of the border appears big enough to carry out the task. But it comes at a price: DSB expects the new checks will cost it €1.2 million per month - a fee it may pass on to customers. When arriving in Sweden on the other side of the Oresund Strait, passengers are again asked to present their photo-ID. This time it's Swedish police checking the documents. 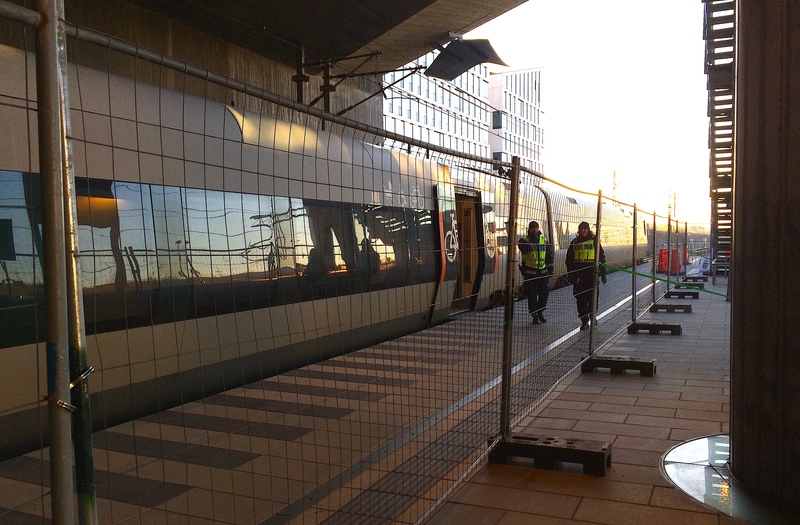 A fence has also been built on the train platform in Hyllinge, the first stop on the Swedish side, to make sure everybody is checked before entering the country. The new Swedish controls, imposed to reduce the flow of asylum seekers from mainland Europe, end 60 years of passport-free travel between Nordic states. A protocol exempting Nordic countries’ nationals from the obligation to have a passport or residence permit while living in another Nordic country was agreed already in 1954. Later on, the Nordic states joined the European passport-free Schengen zone. 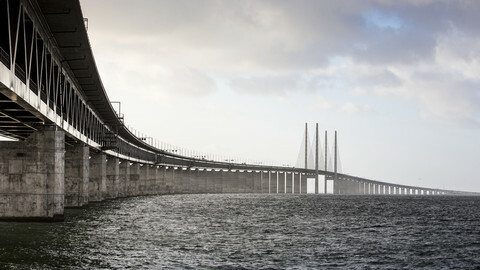 Since 1996, EU structural funds also helped to finance the construction of the Oresund bridge, which, since 2000, connects the Danish capital to Malmoe, Sweden's third largest city. The Oresund region integration has been a success. Every day, approximately 15,000 people commute across the water to work or study. 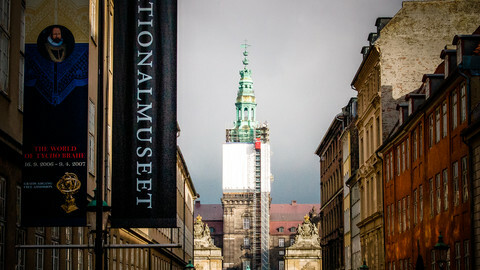 Most travel from Sweden to Denmark, but Sweden has also begun to recruit workers from Denmark, especially nursing and medical staff and construction workers. People are now worried the integration will be rolled back. Christina Nyhlen crossed the Sound on Monday to look after her 14-year old stepdaughter on the first day of the new ID regime. The girl commutes between her mother in Copenhagen and her father in Sweden every week, but goes to school in Copenhagen every day. In future, she will have to change trains and have her ID checked in Copenhagen in order to return to Sweden. This will add at least 30 minutes to her schoolday. 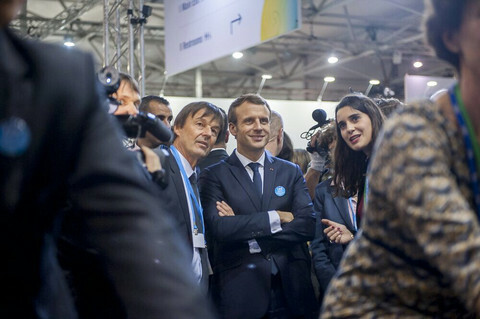 "We have not been informed of this in a proper way, so I thought best to be with her on the first day of the new scheme,” Christina Nyhlen said. "It was a beautiful idea with open borders, but hard to handle," said another passenger, Mai Northcote Soerensen. She is Danish and travels to Malmoe to visit her also Danish boyfriend. He found a place to live in Sweden, because housing is hard to find in Copenhagen and prices are lower on the Swedish side. "Closing the doors to the refugees is so depressing and really, I doubt this will help," she noted. Her words were echoed by Danish PM Lars Loekke Rasmussen at a press conference earlier the same day. Loekke Rasmussen’s Liberal minority government, also on Monday, imposed its own, temporary, ID controls on the Danish-German boundary in parallel with the Swedish checks. The moves are part of a domino effect in Europe, which began with border restrictions in Austria, Croatia, Germany, and Hungary. The Danish decision was mentioned in Ramussen's New Year speech and comes despite a drop in the number of asylum seekers crossing into Denmark in recent weeks. Just 55 refugees a day are now arriving in Denamrk, the PM noted. He explained, at Monday’s press conference, that the controls are needed to avoid Denmark becoming too popular a destination for refugees after Sweden tightened its borders. Ninety one thousand would-be refugees have arrived since September, with 13,000 of them applying for asylum in Denmark. Looking at the whole of last year, 15,000 people applied for asylum in Denamark and 160,000 applied for protection in Sweden. The Danish spot-checks on the German border will be in place for an initial period of just 10 days, but they can be prolonged if the government decides they should be, with Loekke Rasmussen indicating they’ll stay in place until the EU’s external borders - as far away as Greece and the Western Balkans - are adequately controlled. The Danish integration minister, Inger Stoejberg, on Monday also said that 400 soldiers will be trained with a view to assisting Danish police in the new border regime. The Danish PM pre-informed German chancellor Angela Merkel by phone, as well as Torsten Albig, the minister-president of the northern German lande of Schleswig-Holstein, before introducing the new system. But despite the friendly exchange of information, the latest blow to the EU’s foundational principle, of free movement, has caused alarm in Berlin. "Freedom of movement is an important principle - one of the biggest achievements [in the EU] in recent years," the spokesman said. Schaefer added that Germany “regrets” Denmark's decision. "This could negatively affect the good communal life in the German-Danish border region and could especially be a burden on commuters," commented Torsten Albig, the minister-president of the northern German lande of Schleswig-Holstein. People going to Sweden from Denmark will have to carry valid IDs or be turned back, ending over 60 years of free travel in effort to stem refugee flows. EU officials are meeting with ministers from Denmark, Germany and Sweden in Brussels in an effort to better coordinate recent border control moves. Danish lawmakers gave wide support to a controversial bill to seize refugees' valuables worth at least €1,340 to help pay for their stay in Denmark. Number of people going by train between Denmark and Sweden dropped 12 percent since Sweden introduced anti-migrant ID controls. After 60 years of Nordic free travel, people hate the scheme. Pro-refugee parties are on the rise in Denmark, but the Social Democrat party recorded a historic blow, losing a quarter of its support in just two months.